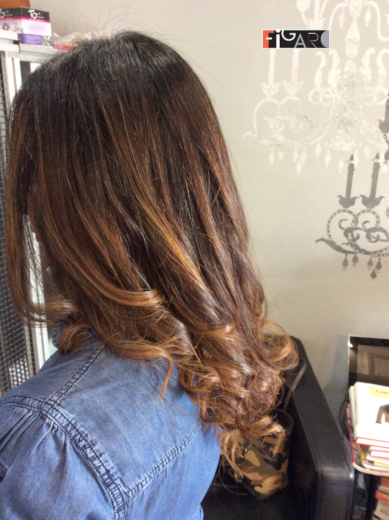 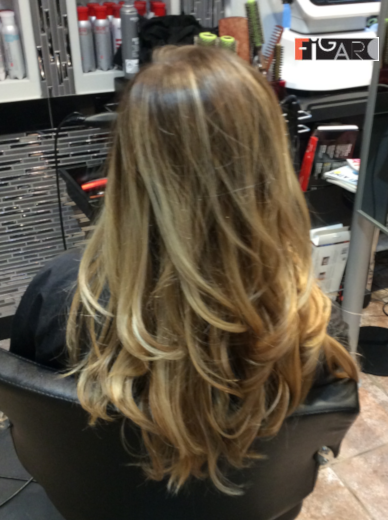 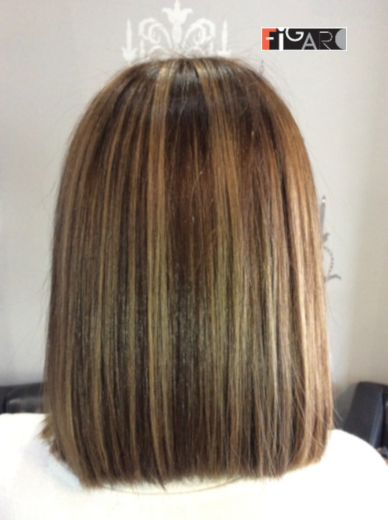 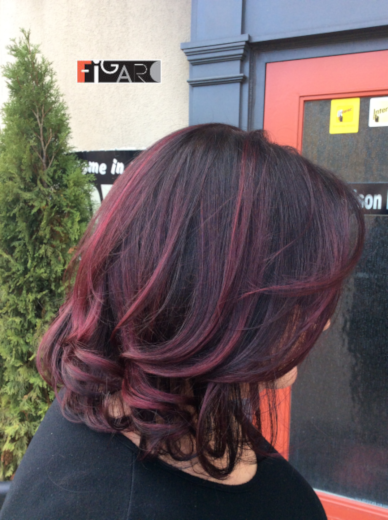 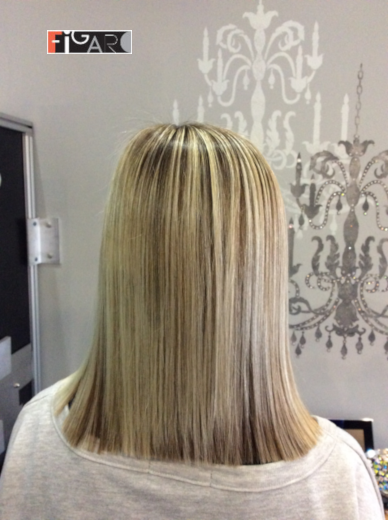 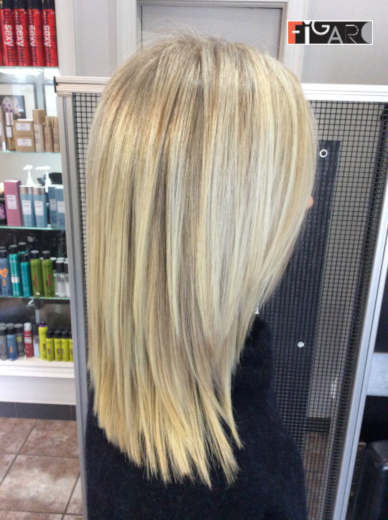 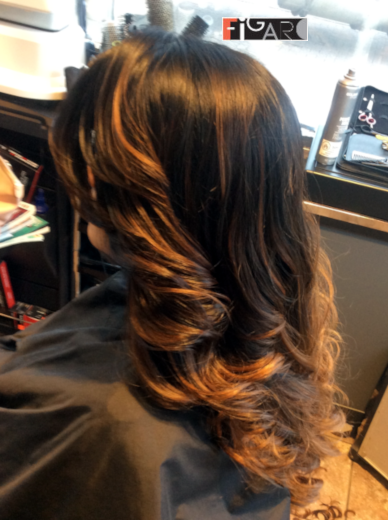 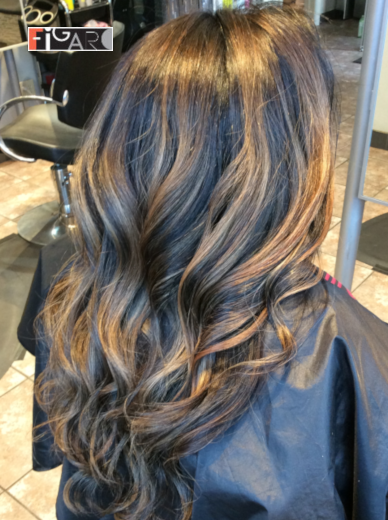 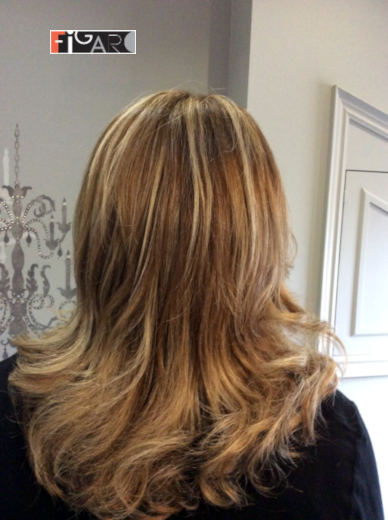 Balayage hightligts looks great on blonde, brunette, and red hair as well. 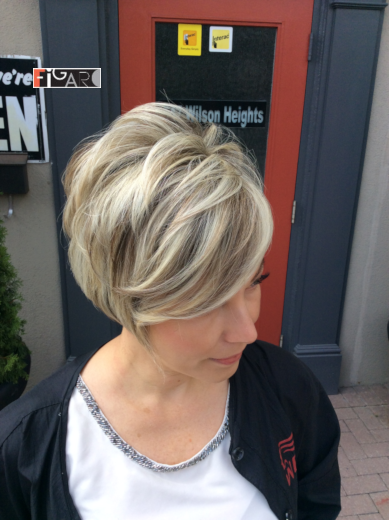 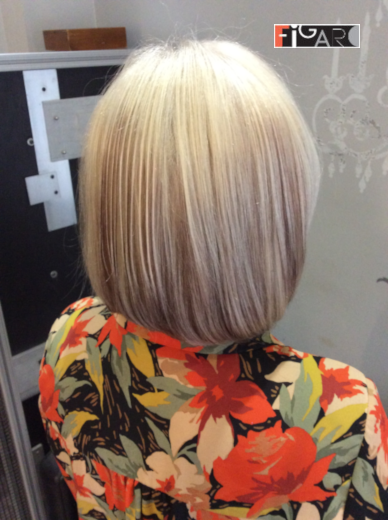 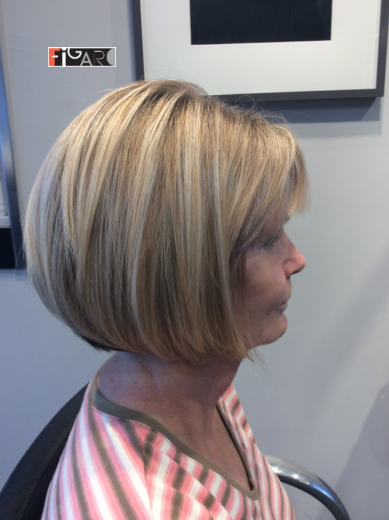 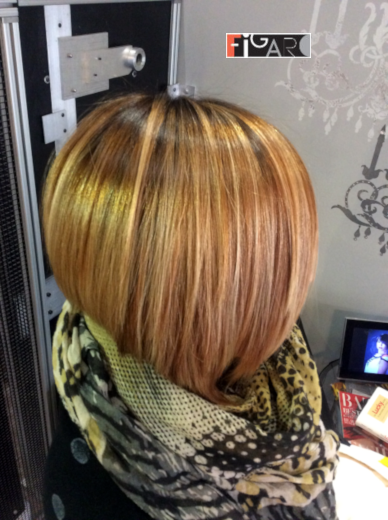 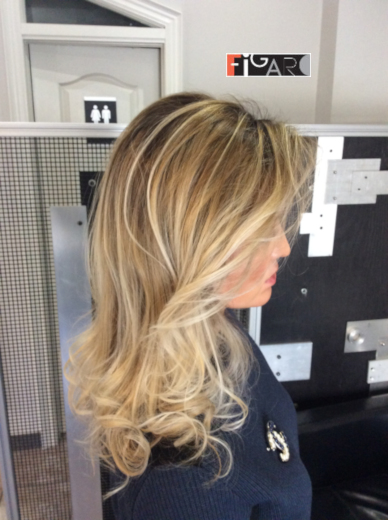 Achieving the desired shade intensity for balayage takes time and requires an experienced master colorist's technical and artistic skills. 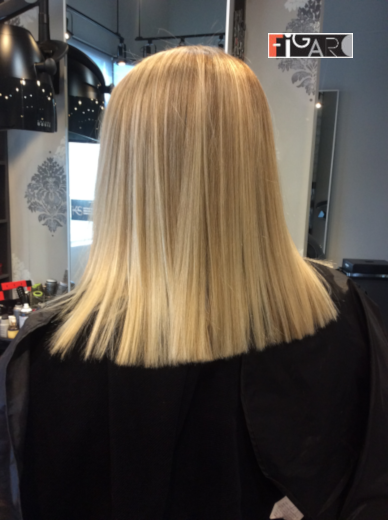 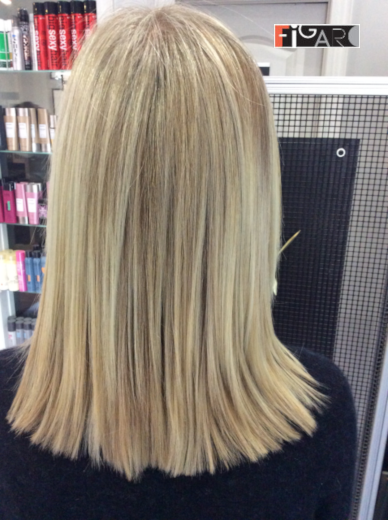 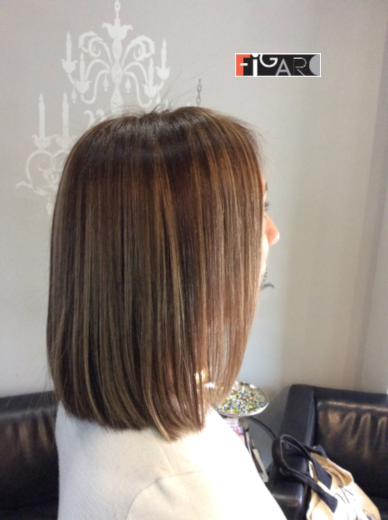 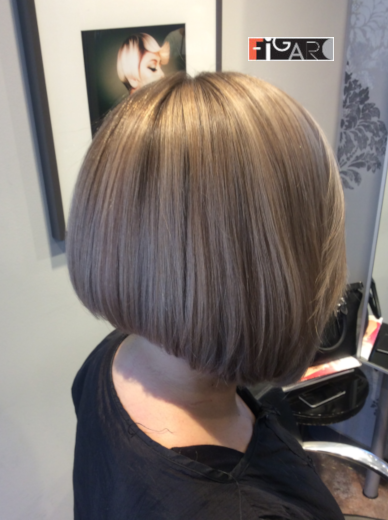 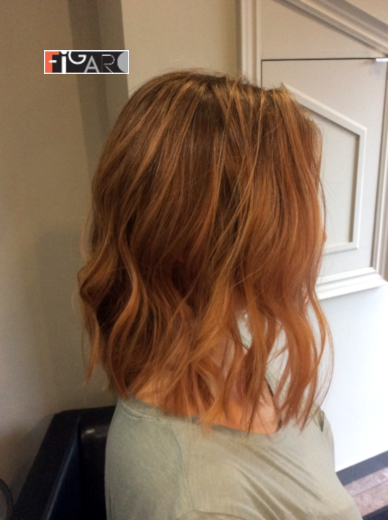 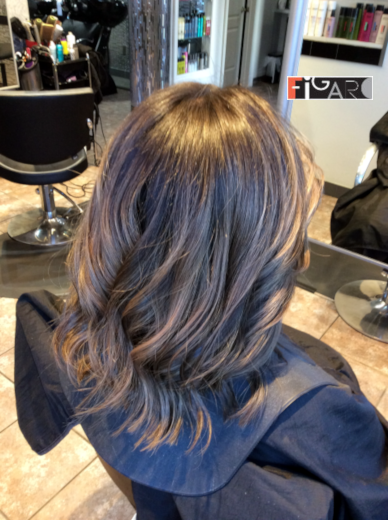 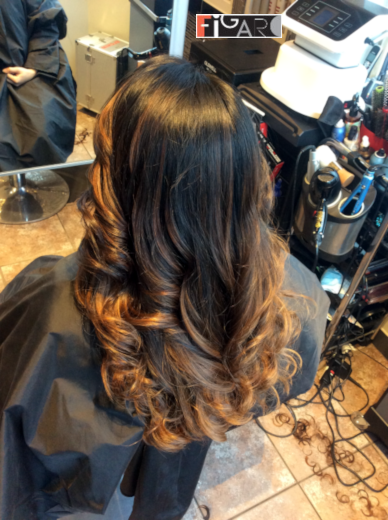 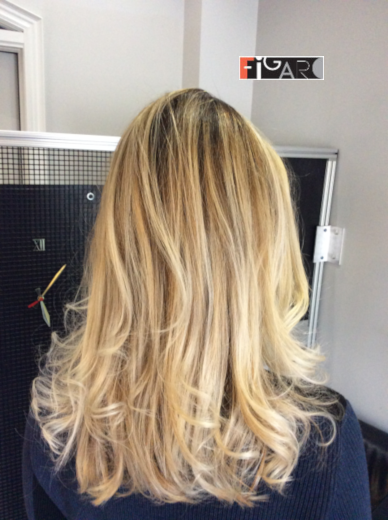 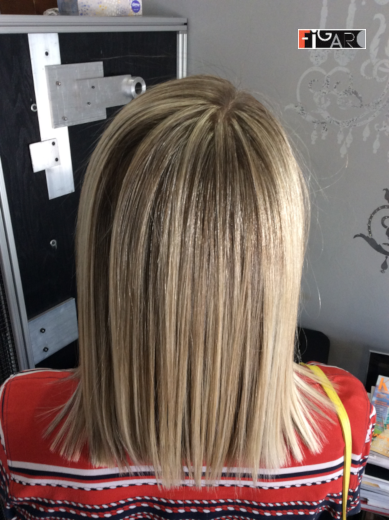 Here at Figaro Salon you will get stunning results and exceptional quality of balayage hair coloring without developing noticeable roots over time as balayage blends with your natural hair colour. 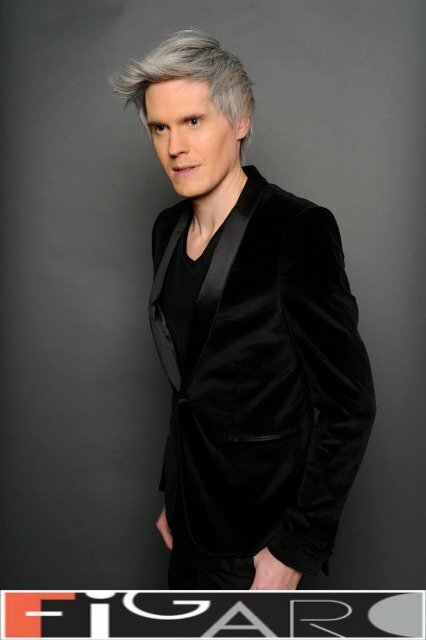 Figaro Art Director did a fantastic job on stage where she styled more than 20 models. 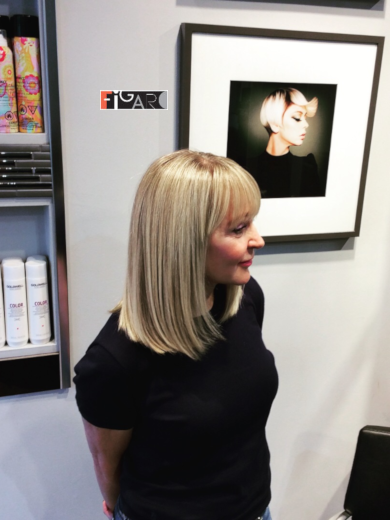 Elena with the Figaro Team prepared and styled live models for two days during the ABA 2016 Hair Show in Toronto. 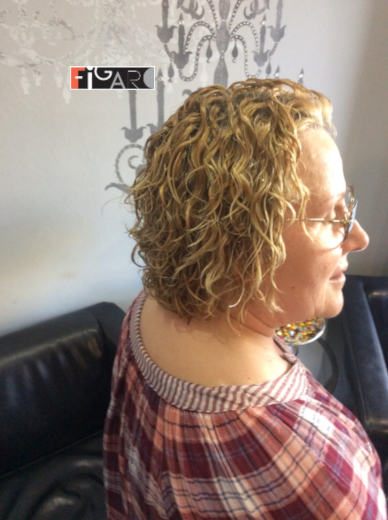 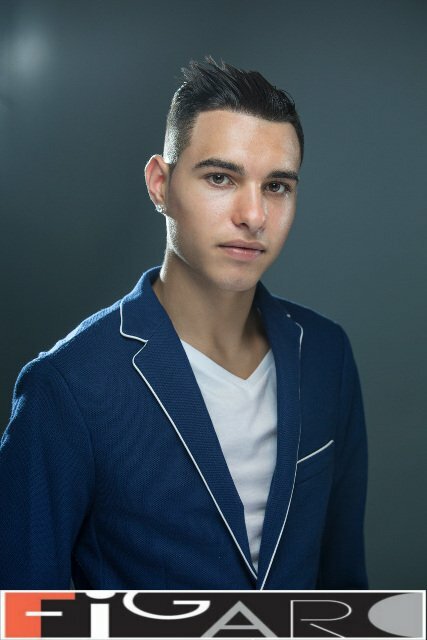 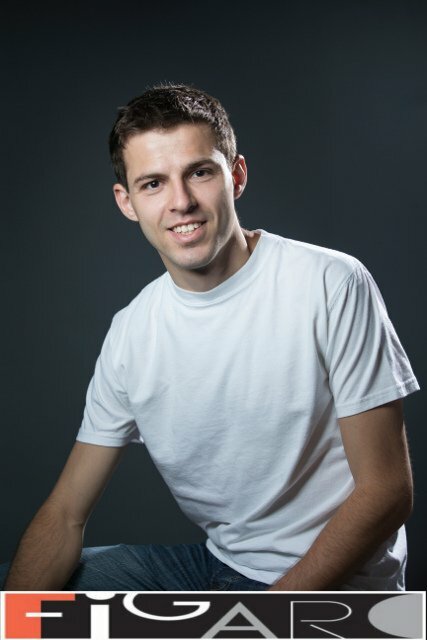 Check our models gallery for the clienteles with perm done in 2018. 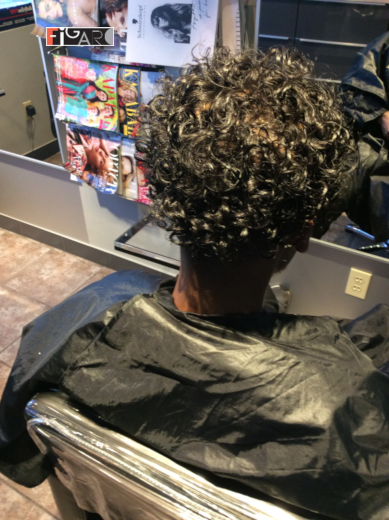 Select any work and point to our perm specialist or bring your dream picture to the salon. 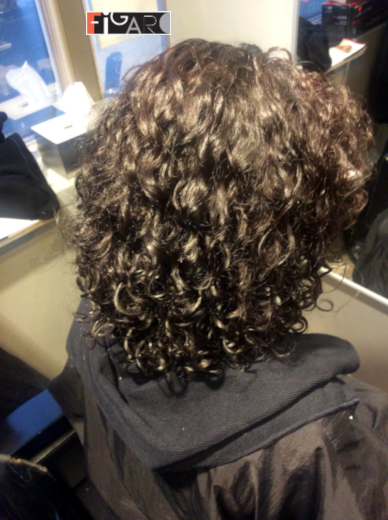 Any perm is possible. 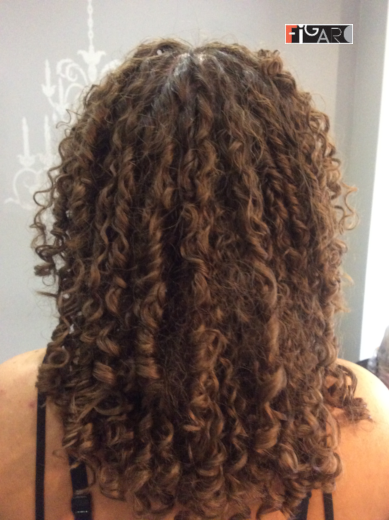 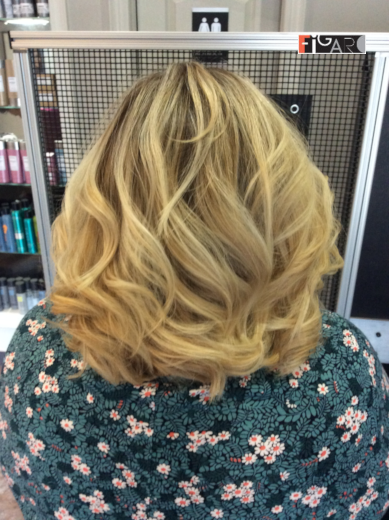 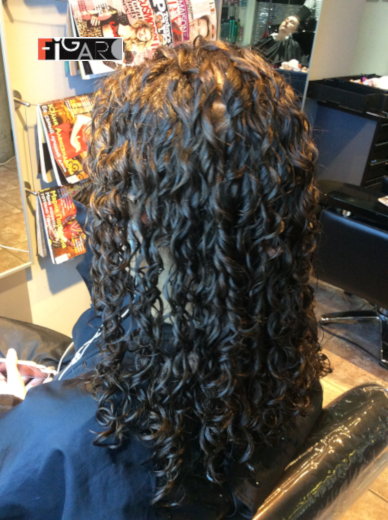 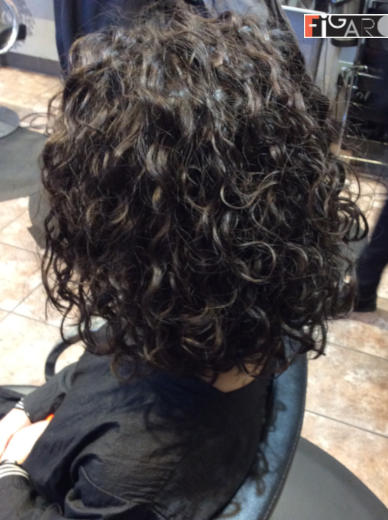 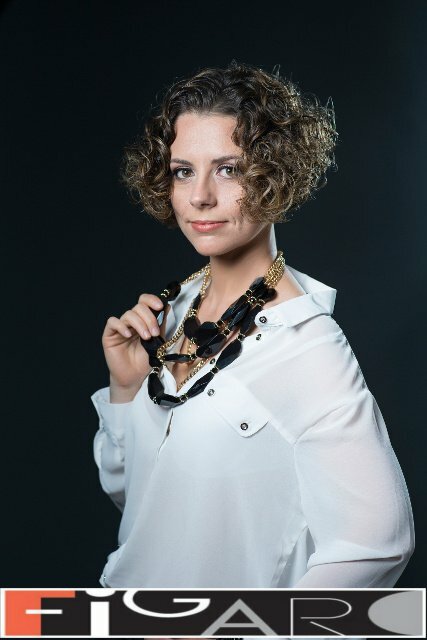 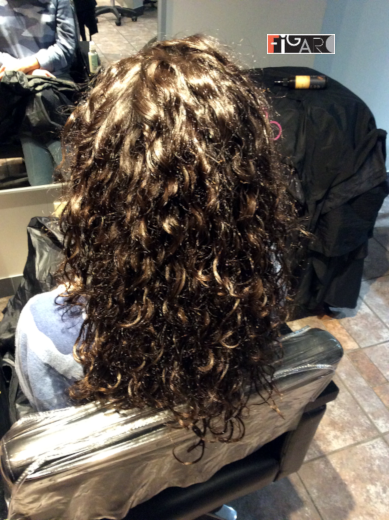 Just find extra time and budget for the perm style you are dreaming about! 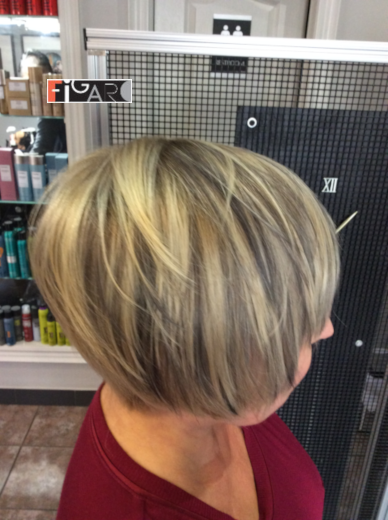 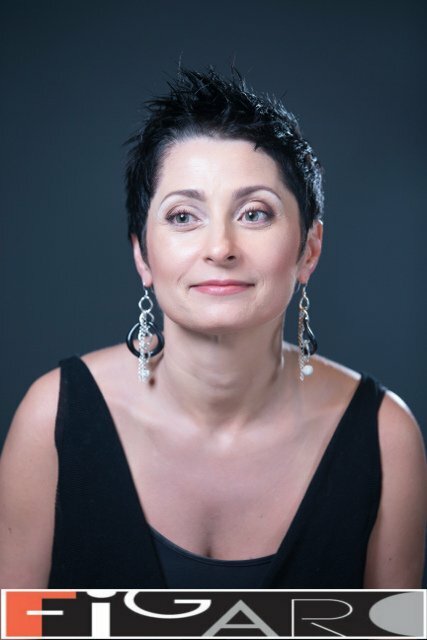 Check our models gallery for the clienteles with short hair done recently. 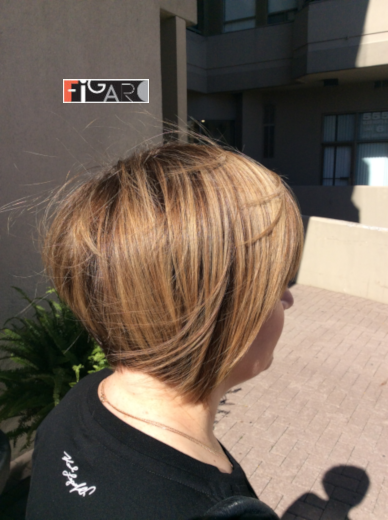 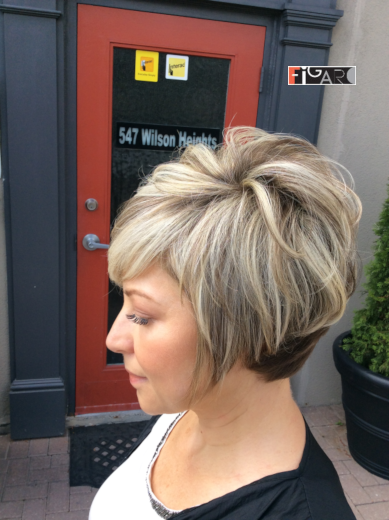 Select any work and point to our stylist or bring your dream picture to the salon, or look through hundreds of hair magazines from all over the world at Figaro salon. 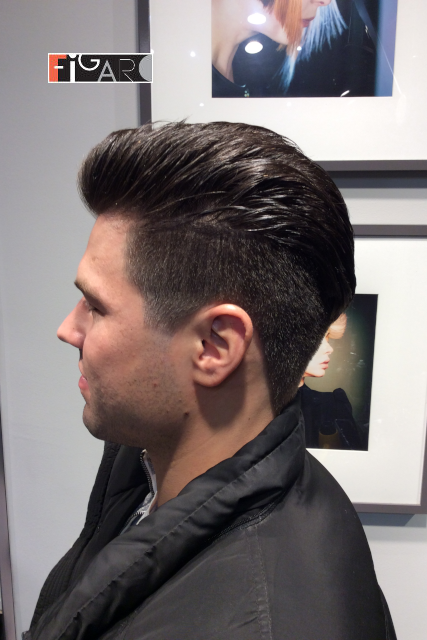 Any dream haircut is possible. 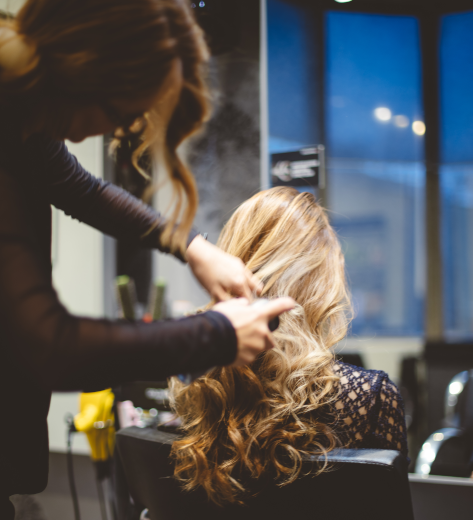 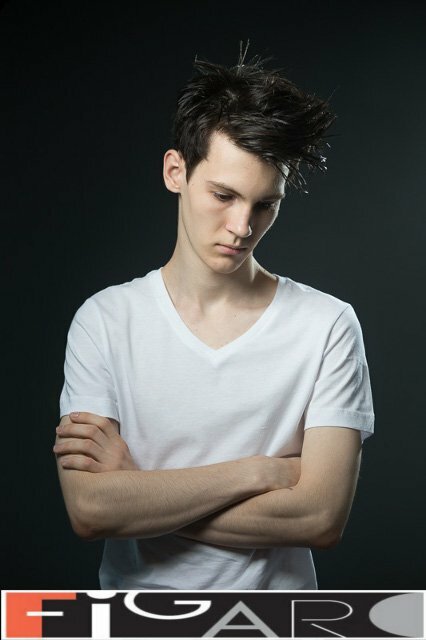 Just find extra time and budget for the hairstyle you are dreaming about! 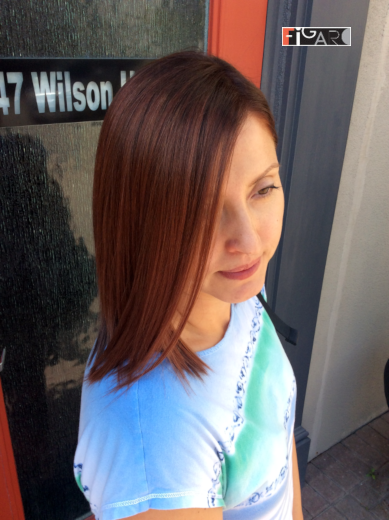 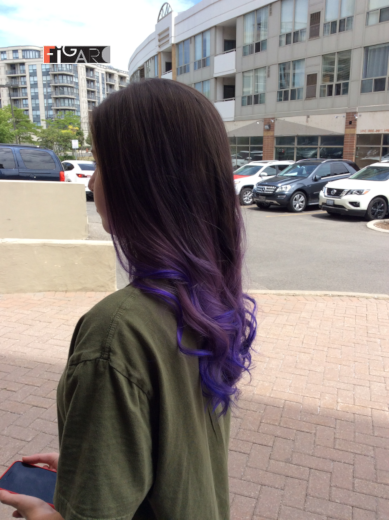 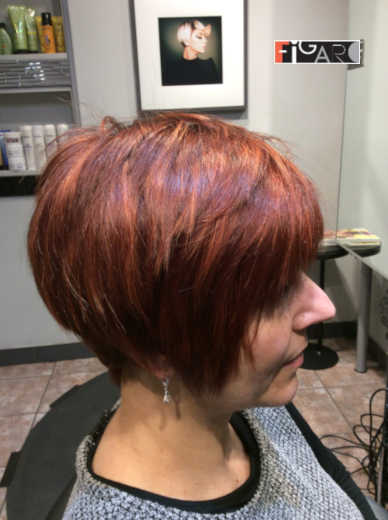 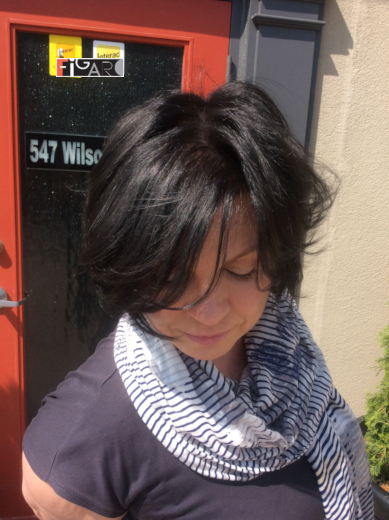 Do you have a longer hair and wish to experiment with color? 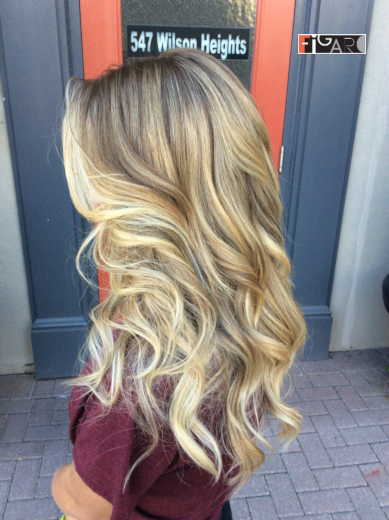 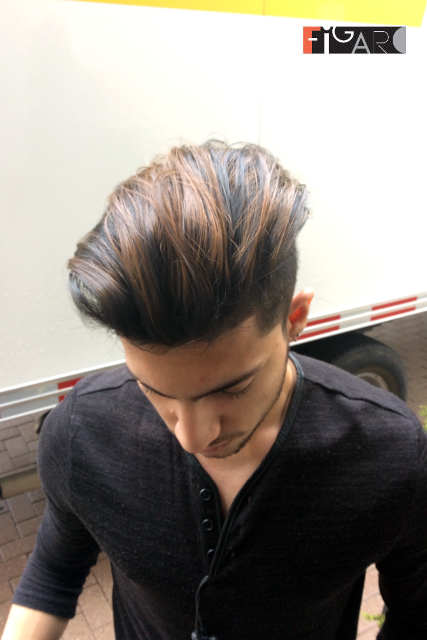 Balayage or Ombre Highlights? 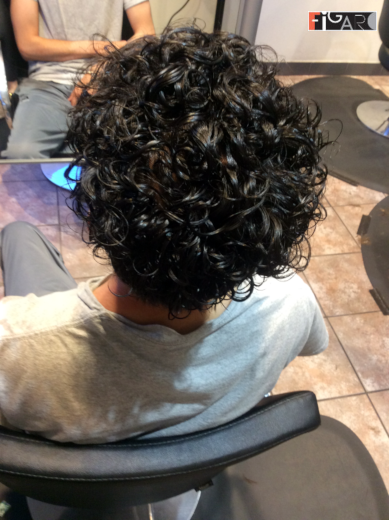 Click on image to see more details. 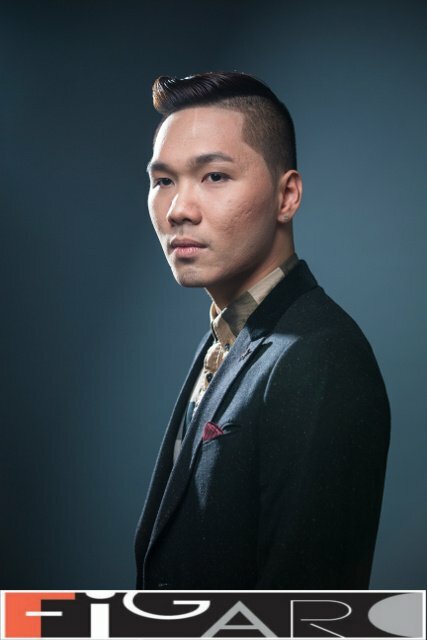 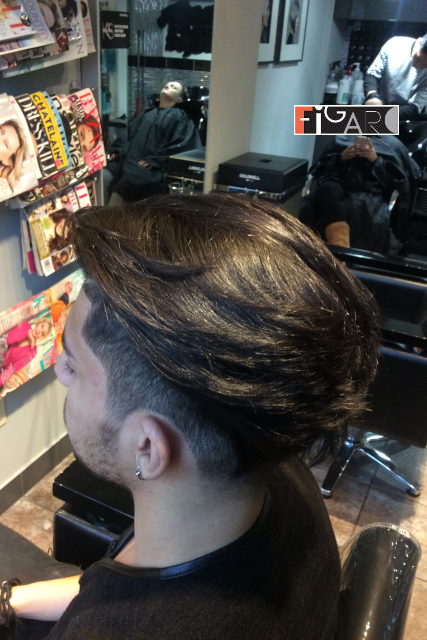 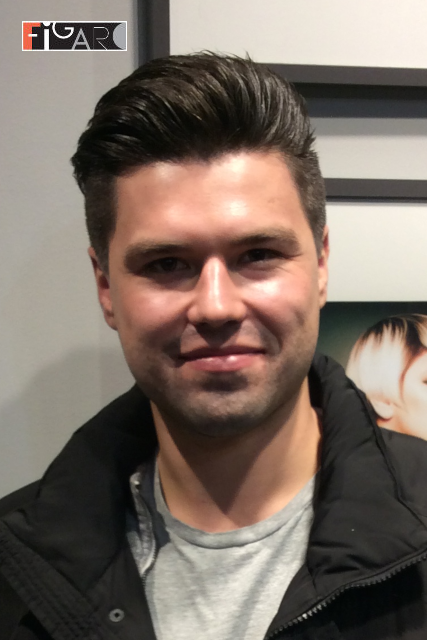 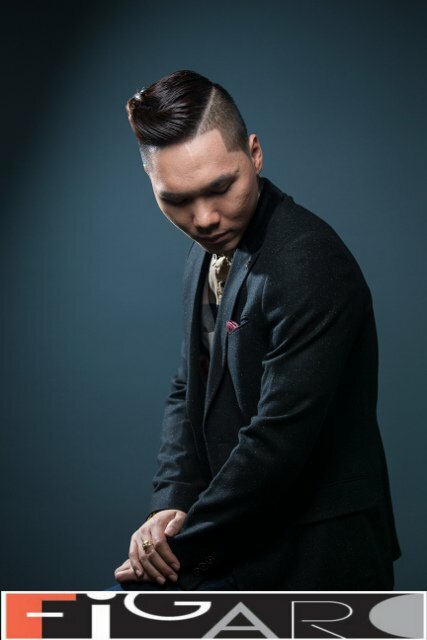 Figaro is one of the top Goldwell elite salons in Toronto. 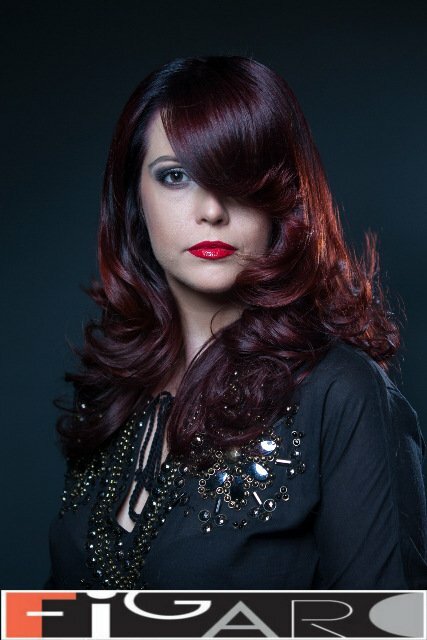 All 5 models done by Figaro Salon were selected to be on the official Colornow company posters and will be shown worldwide at international hair exhibitions & shows. 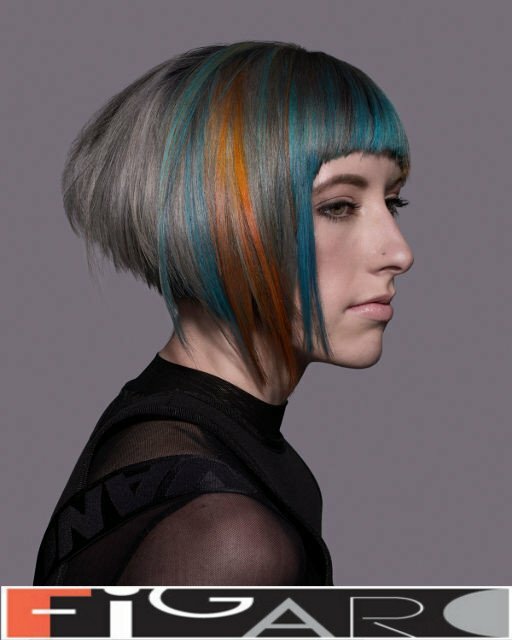 Huge posters were visible at the Toronto ABA 2016 hair show. 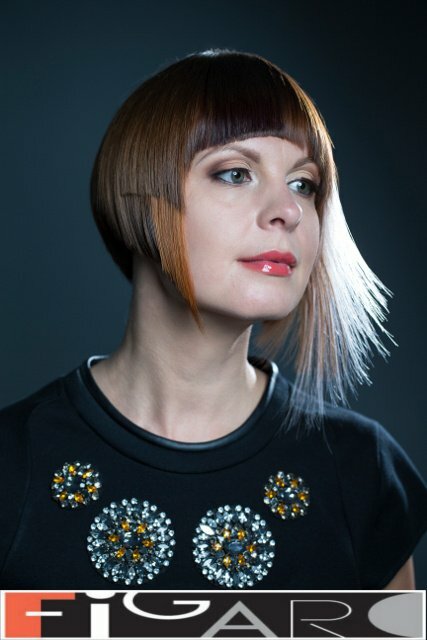 The Art Director of Figaro won Gold medal at OMC Europe Cup 2013 Ladies Cut & Style on live models, a Gold Medal at Ladies Full Fashion and she was 4th at Ladies Progressive Total Look. 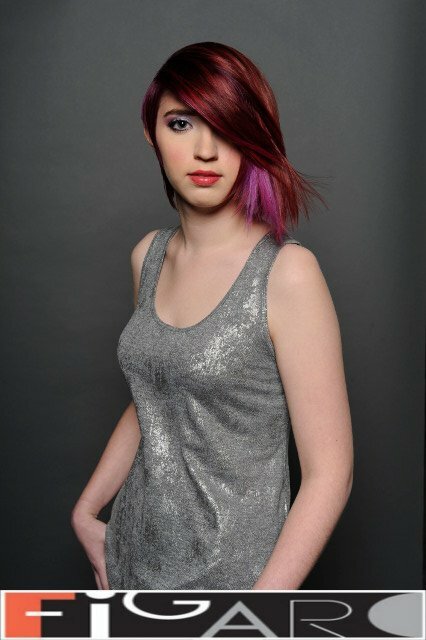 Elena is OMC World Team Cup 2014 Silver Medal Winner in Senior Ladies Progressive Fashion on live models. 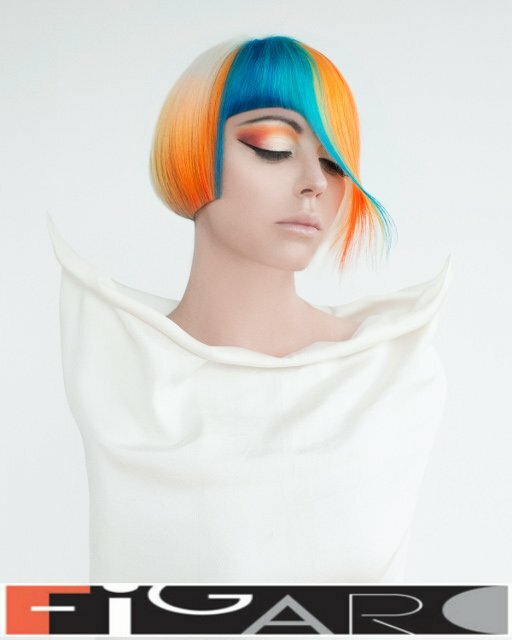 Our Art Director's work selected as Best Canadian cut & colour entry for Goldwell ColorZoom '13, and Elena was chosen to represent Canada in Los Angeles. 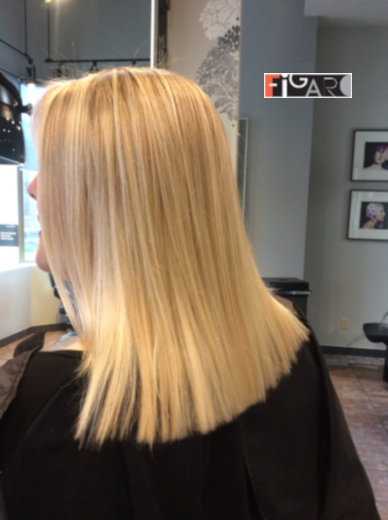 Welcome to the award winning Figaro Hair and Beauty Salon, located steps from Sheppard West subway station and north-northeast from the HWY 401 and Allen Road intersection. 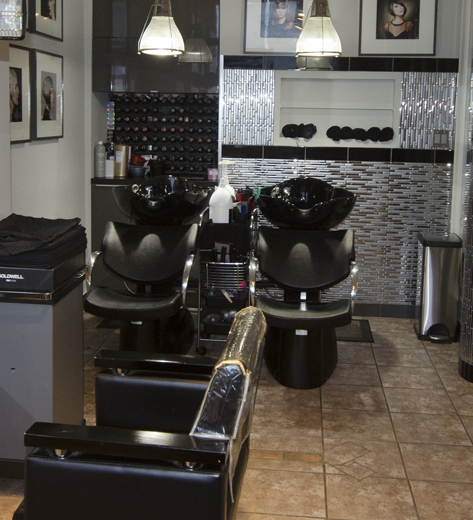 We offer a modern design featuring brand new salon furniture by Maletti from Italy. 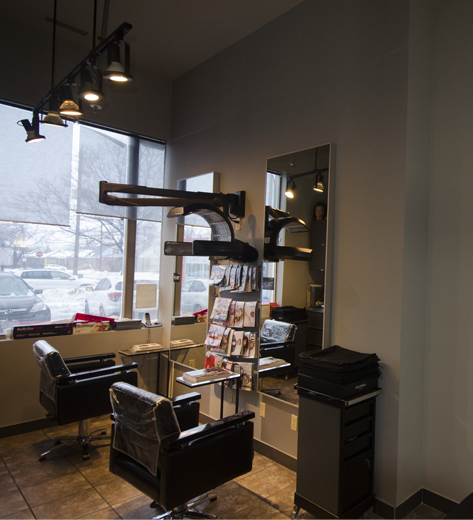 Experience faster service with our wall mounted hair dryer and color processors from Germany. 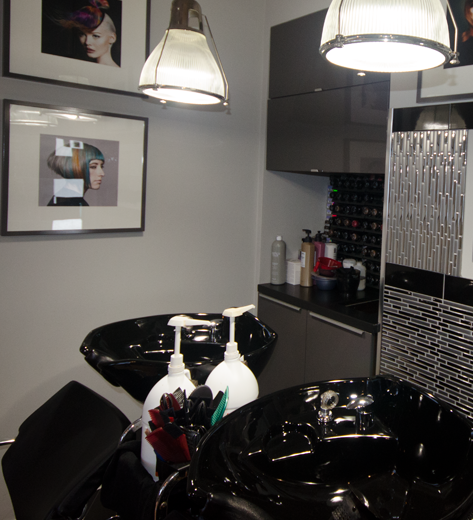 Expresso machine and fine teas available for our valuable clienteles.